Autonomous cars run on the most complex software ever deployed by automakers. With cyber threats to vehicles on the rise, it is imperative that software is safety-certified, reliable, and secure. 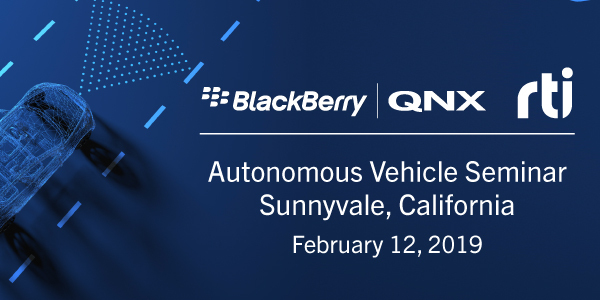 Attend this seminar if you design, build or program autonomous vehicle systems, provide open architecture guidance, are interested in exploring real-time security solutions or are a current DDS user who wants to learn about the latest technologies.